For the full wonky version of the below, please go here. Below are the objectives / investment strategies of two different “alternative” funds pulled from the prospectus and/or annual report for each, along with high level details of how they were actually positioned as of their most recent semi-annual reports on 12/31/15. In this post I'll leave historical performance out of it (one has been horrific, one has been solid - which makes sense when you realize they are opposing strategies), as this post is meant to highlight the importance of looking under the hood, only allocating to strategies that you understand, and ensuring that the manager follows what has been outlined in their prospectus. 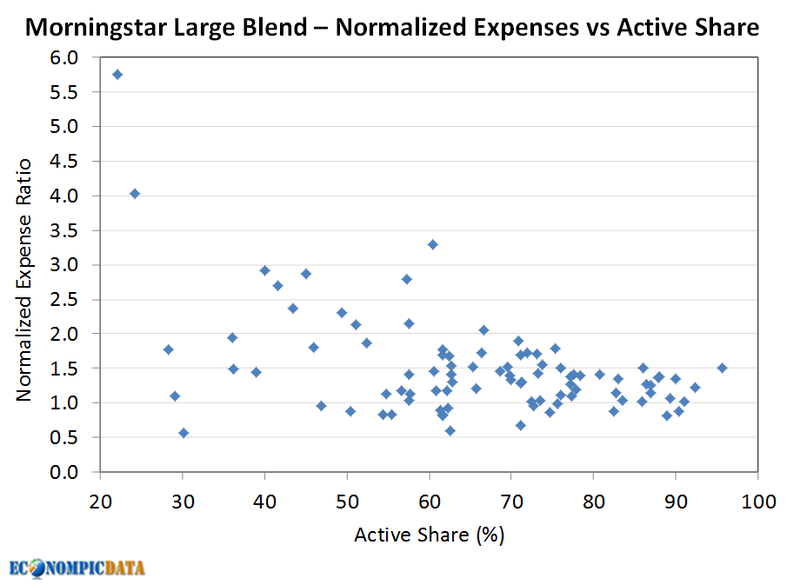 This is especially important when it comes to alternative funds with less defined limitations (though in the case of Fund A... they seem to simply ignore these limitations). The Fund seeks to achieve long-term capital appreciation, with added emphasis on the protection of capital during unfavorable market conditions (page 1). The total notional value of the Fund’s hedge positions is not expected to exceed the value of stocks owned by the Fund (page 3). To summarize, Fund A states it it can not have negative market exposure, while Fund B is described as always being hedged to the market (i.e. implies a 0% market exposure). The chart below is my attempt to simplify the payoff structure of each Fund inclusive of all the options they have bought or written (go here for a full breakdown of the fund positions). Fund A sold deep-in-the-money calls that effectively neutralized the stocks held, leaving only the puts (meaning it is short the market). Fund B is a bit more complex, but is long the market on the way up (though less than 100%) and exposed to the market (though less than 100%) on the way down (with a relatively neutral position when the market is down ~5-10%). And we wonder why there is investor confusion / disappointment? As an aside... I find Fund B's strategy interesting. Warning... I got way too wonky in this post. If you want a streamlined version of the below, go here. Below are the objectives / investment strategies of two different “alternative” funds pulled from the prospectus and/or annual report of each, along with detailed analysis of how they were actually positioned as of their most recent semi-annual reports on 12/31/15. In this post I'll leave their actual performance out of it (one has been horrific, one has been solid - which makes sense when you realize they are opposing strategies), as this post is meant to highlight the importance of looking under the hood, only allocating to strategies that you understand, and ensuring that the manager follows what has been outlined in their prospectus, This is especially important when it comes to alternative funds with less defined limitations (though in the case of Fund A... they seem to simply ignore these limitations). Objective: The Fund seeks to achieve long-term capital appreciation, with added emphasis on the protection of capital during unfavorable market conditions. It pursues this objective by investing primarily in common stocks, and uses hedging strategies to vary the exposure of the Fund to general market fluctuations (page 1). Investment strategy: The investment manager expects to intentionally “leverage” or increase the stock market exposure of the Fund in environments where the expected returns from market risk is believed to be high, and may reduce or “hedge” the exposure of the Fund to market fluctuations in environments where the expected return from market risk is believed to be unfavorable (page 3). To make it abundantly clear how this fund defines leverage and hedging, the prospectus states. Leverage: "The maximum exposure of the Fund to stocks, either directly through purchases of stock or indirectly through option positions is not expected to exceed 150% of its net assets" (page 3). 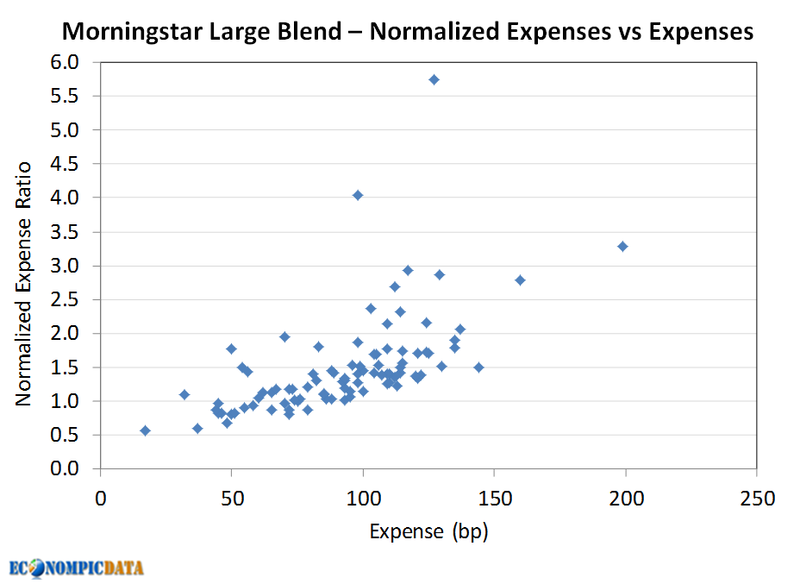 Hedging: "The total notional value of the Fund’s hedge positions is not expected to exceed the value of stocks owned by the Fund, so that the most defensive position expected by the Fund will be a “fully hedged” position in which the notional values of long and short exposures are of equal size" (page 3). Objective: The Fund seeks income and growth of capital (page 1). 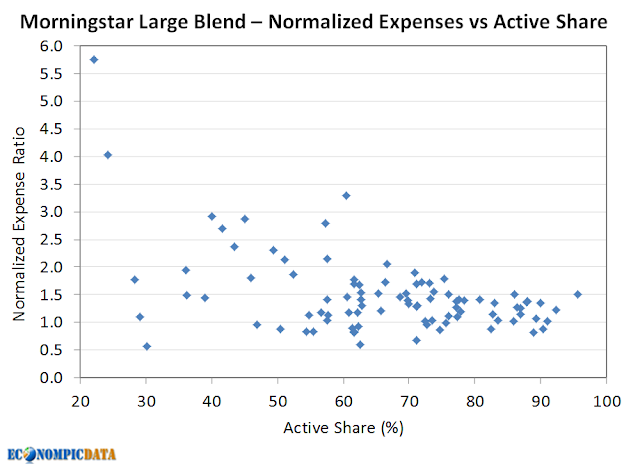 Investment strategy: "The Fund's core strategy has been and will always be to purchase an underlying hedge at 100% of the notional value of the underlying through corresponding LEAPS put options and proportionally write shorter-term options against the long underlying equity ETFs and LEAPS puts. 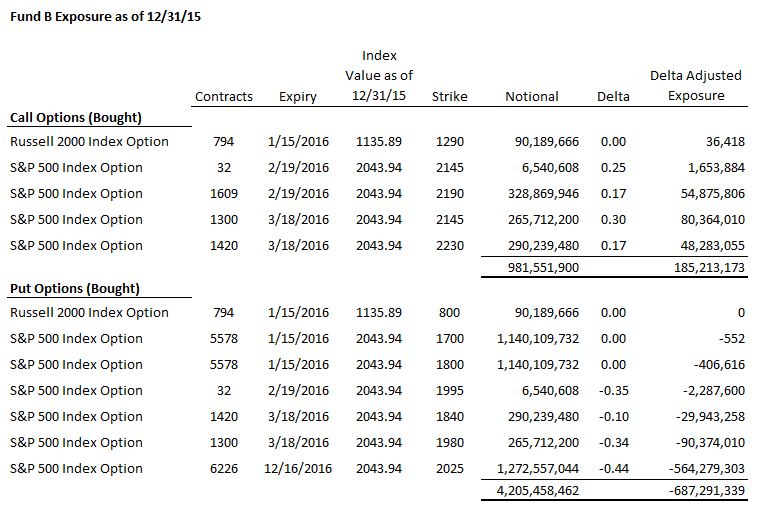 Premiums received from writing options represent income-type positions that are designed to take advantage of time decay and help pay for the cost of the hedge"(page 2). To summarize... fund A states the fund can have exposure ranging from 0% to 150% (i.e. 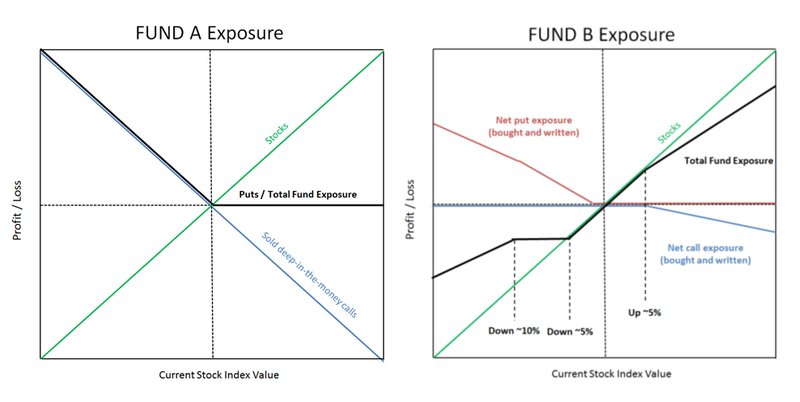 cannot go short), while Fund B is described as always being hedged the the market (i.e. implies a 0% market exposure) and uses the time decay (i.e. they are long theta) to pay for the hedge. 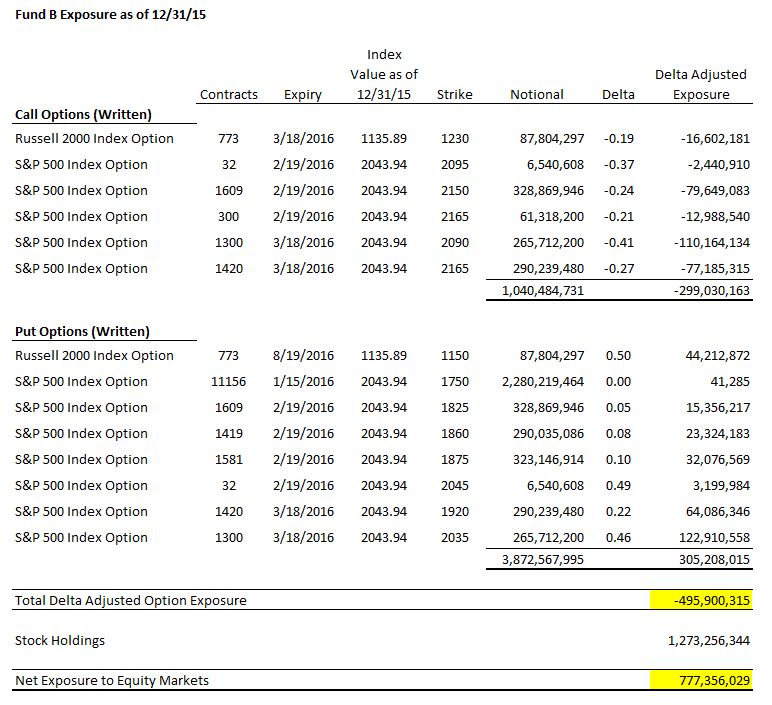 While I hoped to stay out of the weeds with regards to option pricing, the tables below break down the fund exposures inclusive of the options bought or written as of 12/31/15. 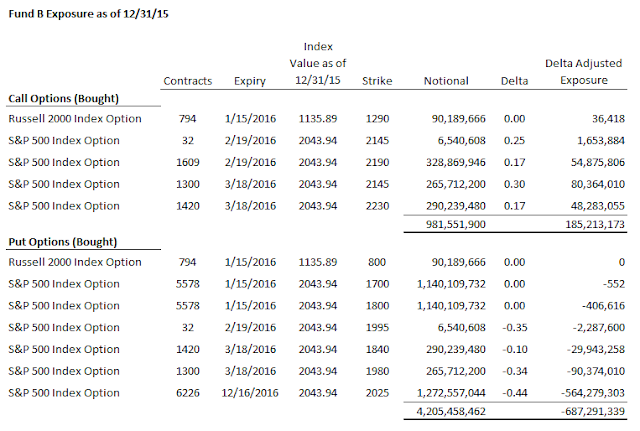 While funds often mark options at market value (i.e. how much you can buy or sell them at that day's close), economic exposure is what matters to an investor (i.e. if the market moves up or down, what is the impact to the portfolio). As an example, stock futures are marked-to-market every day, meaning they have a market value of ~$0 at the end of the day. 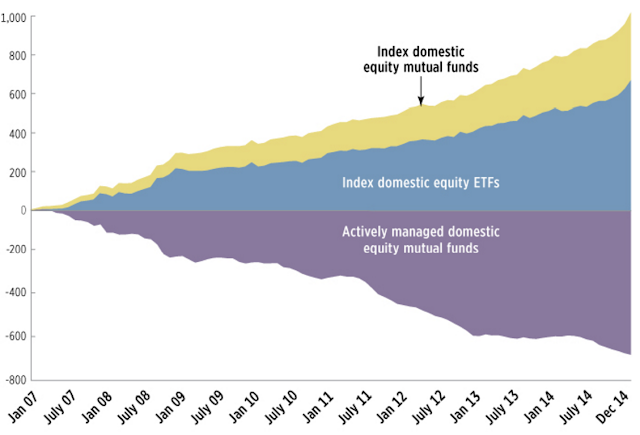 Yet I think we can all agree that a fund with 3x notional exposure to stocks (i.e. triple levered ETFs) have 300% exposure to the stock market, not 0%. Delta: the degree to which an option is exposed to shifts in the price of the underlying asset (a deep in the money call option has a delta of 1 meaning it provides the same exposure as the underlying stock market, while a negative sign indicates it is short that exposure which results from buying puts or selling calls); note I assumed an 18% volatility figure to calculate the options for all periods, which is right around where the VIX was as of 12/31/15 as is close enough for this. Now let's take a look at what exposure the two funds had as of 12/31/15 (if anyone sees an issue with any of my calculations, please let me know). Delta adjusted option exposure of -$900 million relative to the $600 million market value of the fund's stocks as of 12/31/15 = net -$300 million market exposure (i.e. it was 50% short the market as fund AUM was ~$600 million). 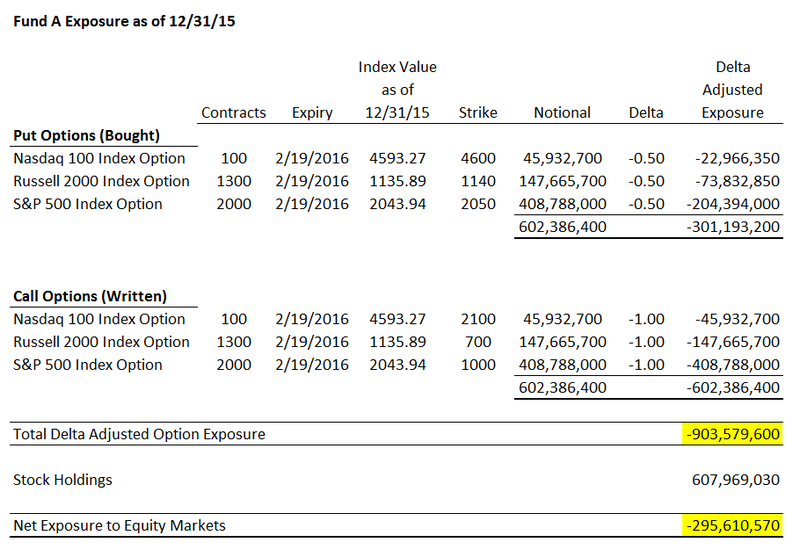 Delta adjusted option exposure of around -$500 million relative to the ~$1.27 billion market value of the fund's stocks as of 12/31/15 = net $777 million market exposure (i.e. it was ~60% long the market as fund AUM was ~$1.3 billion). The chart below is my attempt to simplify the payoff structure of each, ignoring the time decay of options held (time decay is a huge drag on Fund A and a substantial tailwind for Fund B). Fund A sold deep-in-the-money calls that effectively neutralized the stocks held, leaving only the puts and a net short position. Fund B is a bit more complex, but is long the market on the way up (though less than 100%) and exposed to the market (though less than 100%) on the way down (with a relatively neutral position when the market is down ~5-10%). Eric Balchunas has an article on Bloomberg titled The Financial Industry Is Having Its Napster Moment asking "Has the music stopped for the financial industry? ", sharing the following chart of flows since 2007. He forecasts ~$1 trillion in outflows from higher fee active management every 4 to 5 years from here, which he believes will cause a material decline in revenue for investment management firms. 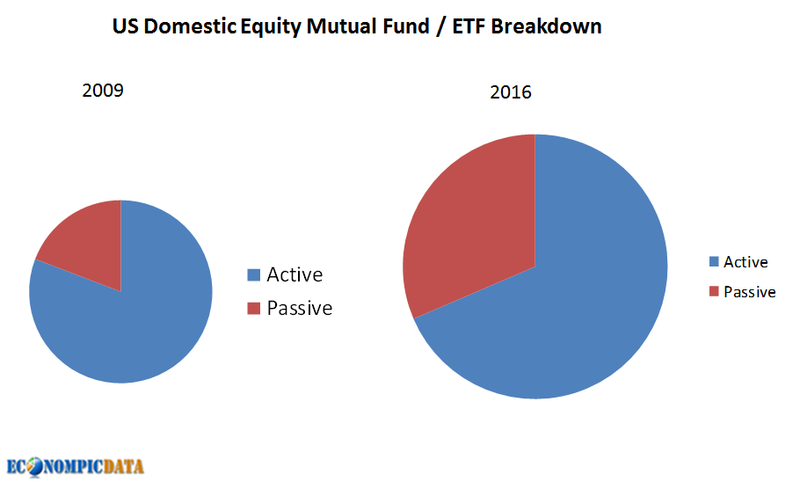 In other words, about $2.5 trillion in assets could migrate out of active mutual funds over the next decade. That money will shift from producing $18 billion in revenue to producing just $5 billion. That’s $13 billion less in revenue in the next decade and upward of $30 billion over the next 20 years. All this could be expedited by the new fiduciary standard—as well as a parallel trend that sees institutional funds moving toward passively managed investments, too. As I'll outline below, while this is true in a vacuum... it misses an important aspect of what really drives asset growth (hint... for established players, it's not flows). 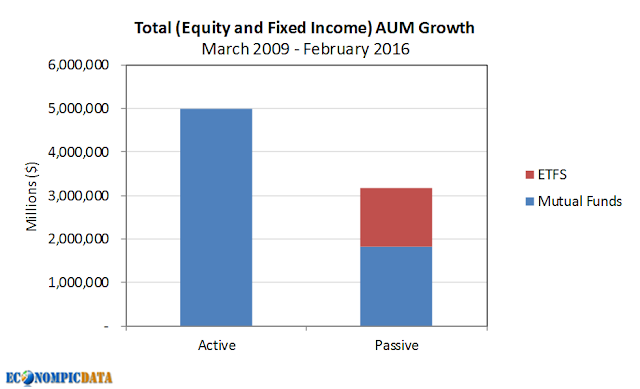 Given this level of flows to passive from active, you would likely guess that the level of AUM for passive solutions would have grown by a much greater amount than active mutual funds, especially following the failure of active managers to protect investors during the financial crisis... right? 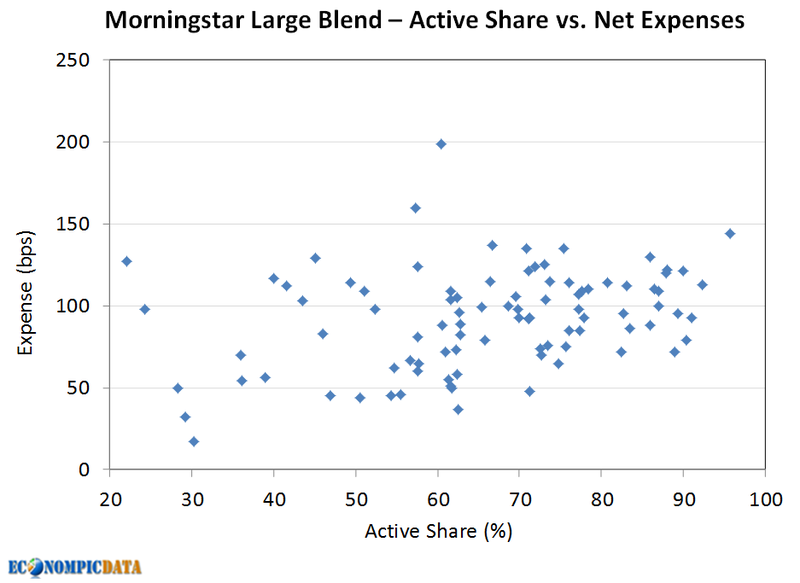 Given the huge AUM "advantage" of the much more mature mutual fund business, market appreciation has allowed domestic equity active managers to grow AUM by exactly the same amount within the domestic equity category, almost $1.8 trillion each since March 2009 market lows (data from Morningstar). And while the Bloomberg article focused on domestic equities, let's take a look at the whole mutual fund / ETF complex..
That's a HUGE jump in AUM (and revenues) for investment management firms and given the huge operating leverage these managers employ (i.e. scale is huge for the bottom line) they are printing money. So... unlike the music industry that has seen revenues slump as the preference for a high fee record slice has shifted to low fee digital, all while the overall music pie remains small (or has gotten smaller), the preference for a passive slice of the investment pie has occurred while that pizza has grown from a small to a large one. 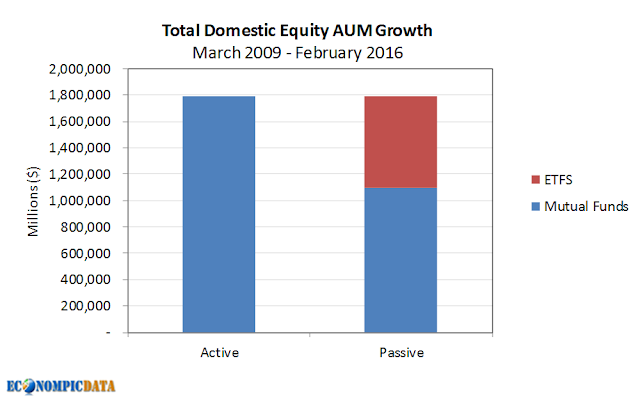 If you believe capitalism isn't dead (I don't), then overall AUM in domestic equities (and especially across all global assets) will continue to expand... likely faster pace than active will be replaced.